Clear back during the 2011 D23 Expo, Pixar announced that they would be making a movie about dinosaurs. At that point, it was known as, well, The Untitled Pixar Movie About Dinosaurs. Just with that simple announcement, I was so thrilled! It just seemed to fit in perfectly with Pixar's lineup of beloved and universal topics; things that countless kids have grown up showing interest in- toys, bugs, monsters, fish, super heroes, cars, space, princesses, etc. I know I went through a dinosaur phase when I was younger! As a Pixar fan, I followed the production very closely through the years. Though I slowly started to realize that the film was going to be totally different from what I initially pictured, I was still excited. Yes I was also a bit worried, especially through the delay (the movie's story, director and actors changed halfway through production), but excited nonetheless. I was rooting for the film to make it from the beginning, as some predicted it would end up like Newt (one of Pixar's cancelled projects). Now, after all that time, it's hard to believe it's finally here! Ok, ok, you're probably thinking "just cut to the chase already." Did I love the film or not? Well, in short, I'm happy to report that I loved it. Remember though how subjective art is (especially film), so keep in mind that these are just my personal thoughts. 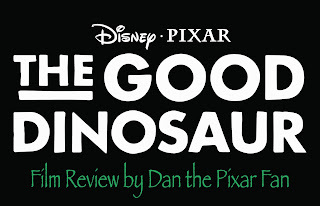 I know that The Good Dinosaur won't be everyone's cup of tea. Lets dig into it a bit more though, shall we? 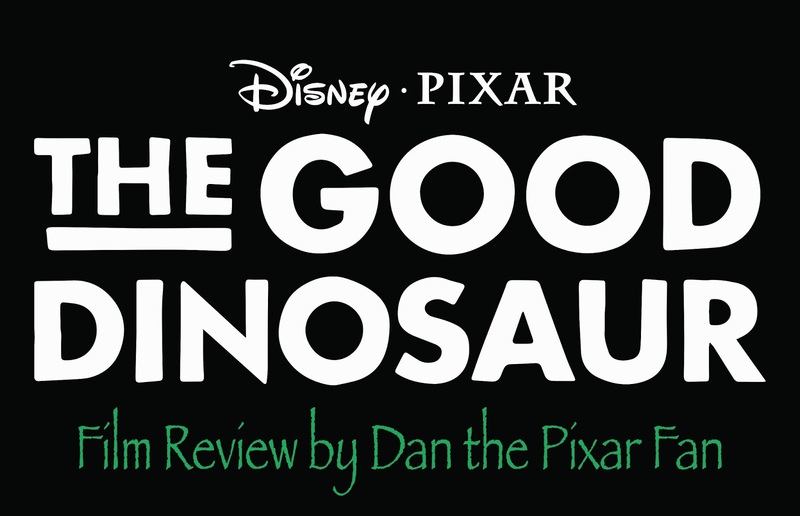 Yes, there is a sweet simplicity to the story of The Good Dinosaur...but that's what I love about it! Some forget that a more simple story does not automatically equal a bad story. Some of the most timeless fables and tales out there, ones that have transcended thousands of years, are actually quite straightforward. Conversely, a more complex story does not automatically equal a good story. There are many other factors involved. Does Good Dino borrow some familiar messages, themes and other traditional story elements? Sure does! But what story doesn't to an extent? It's what Pixar has always done best- taking familiar concepts and putting some kind of creative spin on them to make the story feel fresh. The same is true here with Good Dino. Though familiar in some ways, it was still unlike anything I had ever seen. I honestly enjoyed the story quite a bit (and I actually didn't predict everything that happened). Sure you know that Arlo makes it home (just like you knew Buzz and Woody would make it back to Andy or that Nemo would be found or that the Incredibles would save the day), but it's all about the journey getting there. It's about spending time with lovable (yet flawed) characters and seeing them grow emotionally. It's about learning important life lessons. It's about, most importantly, the heart (and man does this film have heart). I was worried, but I ended up loving the whole "boy and his dog" aspect. It was a strange idea, but they really pulled of! It just works. Another thing I wasn't too sure on, but also ended up really enjoying, was the western feel of the film. The cowboy/rancher t-rex, the rustler raptors, the farming apatosaurus, etc...it was actually really brilliant! So creative and clever. Whether you're looking for a classic boy and his dog story, an adventure film, a survival picture, a good old fashioned western, a coming of age tale, a buddy/road trip comedy or just a straight up dinosaur flick...this is the movie has it all! I loved the characters. I couldn't help but fall in love with Arlo, Poppa, Mamma, Buck, Libby, Spot, the pet collector, the t-rex and others. Interestingly though, I felt that this was Pixar's smallest cast to date. Really there are only about 15 or 16 dinosaurs in the whole film (along with some background animals/critters) and none of them have very much screen time at all (aside from Spot and Arlo of course). This may bother some people, but I totally understand why that decision was made...and it worked just fine for me. When it comes down to it though, sure, I would have liked to see a bit more dinos. The voice cast was great. Everyone was perfectly cast for me. Arlo was especially adorable; the actor, Raymond Ocho, really captured his fearful and sheltered (yet humble) nature. Another stand out for me was Butch the t-rex voiced by Sam Elliott. He did a fantastic job just being himself. Again, I was hesitant on the characters having that western draw/twang in their speech, but after seeing the film all the way through, I had a better appreciation for it. I think my only complaint here is that, since I did enjoy the secondary characters so much, I wish they could have had more screen time (especially the hilarious pet collector)! This is Pixar we're talking about, so of course the animation (everything from character expressions/movements to the lighting) was gorgeous. Some of the best I've seen in an animated feature. The landscapes were breathtaking and very cinematic! I know many people have critiqued the more "photo real" backgrounds with the "overly cartoony" dinosaurs, but that didn't bother me one bit. I don't really get why that has been an issue at all. I didn't think that was too much different than what Pixar has done in the past (look at the scenic shots in Wall·E, Ratatouille, Brave, Monsters University, etc). I think that people have really just jumped on the bandwagon with this critique, ever since it was said by someone back when the first trailer appeared. I personally really liked the contrast! The character designs was "spot" on. For me, the dinosaurs looked exactly what I pictured Pixar dinosaurs would look like...cute, colorful and cartoony! This is a animated film after all. If I wanted gritty, real looking dinosaurs, I'd watch other films such as Jurassic Park or Disney's Dinosaur. For my full write-up on the soundtrack, visit my post HERE. This was a very pure and innocent film (which is part of why I loved it)...except for one scene which, I felt, went too far. During Arlo and Spot's adventure, they come across and eat some rotten [fermented] fruit. You'll see what happens, but it crossed the line for me and was very bizarre. Though it's only about 30 seconds to a minute of the film, that scene left a negative impact. I would have left that scene on the cutting room floor. With that I give the film a B+ (8/10). Bottom line: All in all, The Good Dinosaur is a fun, emotional, funny, sincere, beautiful and clever film. Simple? Yes, but also poignant. I really enjoyed the overall feel and tone of it. It has all the heart that you expect from Pixar and you can tell the filmmaking team behind it put everything they had into it. My hat goes off to everyone involved! Congratulations on another success. It's truly a film to proud of and a worthy addition to the Pixar lineup.